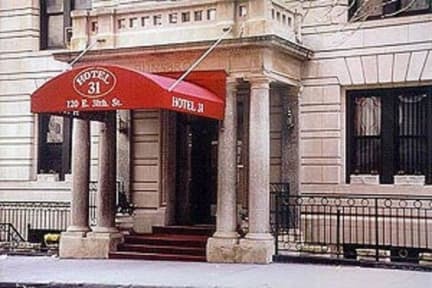 I appreciate Hostelworld for getting me a great deal at Hotel 31 NYC. All aspects of my stay there were primo! I will book through Hostelworld again and access Hotel 31 through them also. Thanks for a comfortable, affordable and safe experience there....Stephen L, Buffalo, N.Y. Very clean. Perfect for your trip to New York. Good location. Must try Spice Symphony around the corner. Quaint but worth the money. Very clean. Close enough to all attractions by walking or public transportation. I will return. Overall we had a great stay. Reception was very accommodating and always happy to assist. Facilities were minimal but we didn't need a lot. This is more of a hotel than hostel but suited us perfectly. 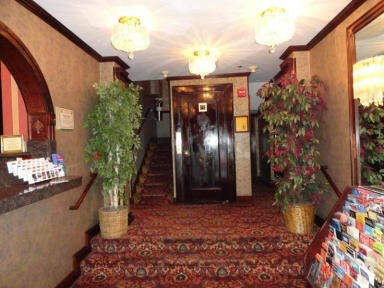 Location was 10 minute walk to Empire State Building and 2 minute walk to subway. Don't think you could ask for better. Spotlessly clean and cleaning staff ever present. Did not need to encounter staff much (although they have 24 reception) and the facilities are basic rooms. No facilities for food or drink on premises. I would stay here again for sure. Thank you Hotel 31. I also enjoyed New York. My room smelled like sewer drainage. It smelled like urine and I felt extremely uncomfortable having my friend stay at the hotel. I am disappointed with the services, and if it was possible, I wish I could get a refund. However, the room was clean and the staff was nice. I just wish I had a better room for the price I paid. I mean, I paid 116 dollars for one night. It smelled so bad.